UML Chair proposed as the next PM - Integration Through Media ....! KATHMANDU: The CPN-UML has decided to propose its chair as the next Prime Minister of the country. 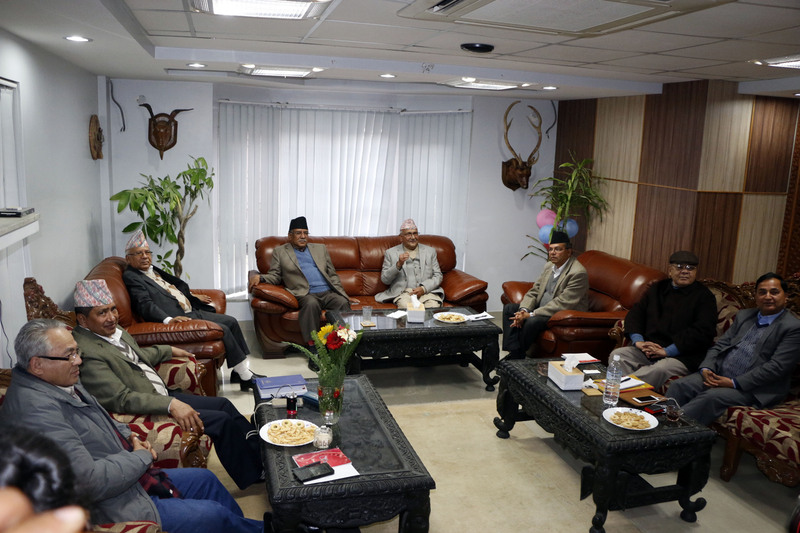 The UML Standing Committee meeting today took the decision. At the meeting UML Chair Oli apprised the Committee members of his meeting with CPN (MC) Chair Pushpa Kamal Dahal ‘Prachanda’, according to UML leader Surendra Pandey. Oli shared that the two leaders decided to take turns as Chair of the new party and the new government. Soon after the meeting, UML Chair Oli began a one-on-one meeting with CPN-MC Chair Prachanda. This will be followed by a meeting of the Party Unity Coordination Committee.